The only feed-thru fly control granted reduced-risk status by the EPA. Use as part of an integrated fly control program for most effective results. 97-100% effective for inhibiting the development of adult house flies and stable flies. SimpliFly with LarvaStop Feed-Thru Fly Control has different options and/or variations, please choose below. 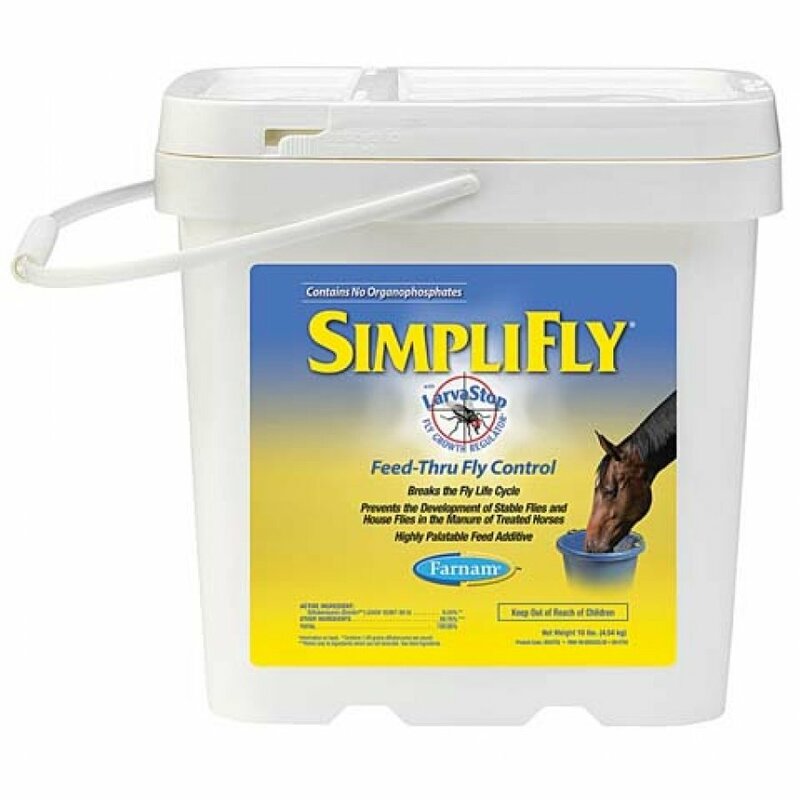 Use as part of an integrated fly control program for most effective results. 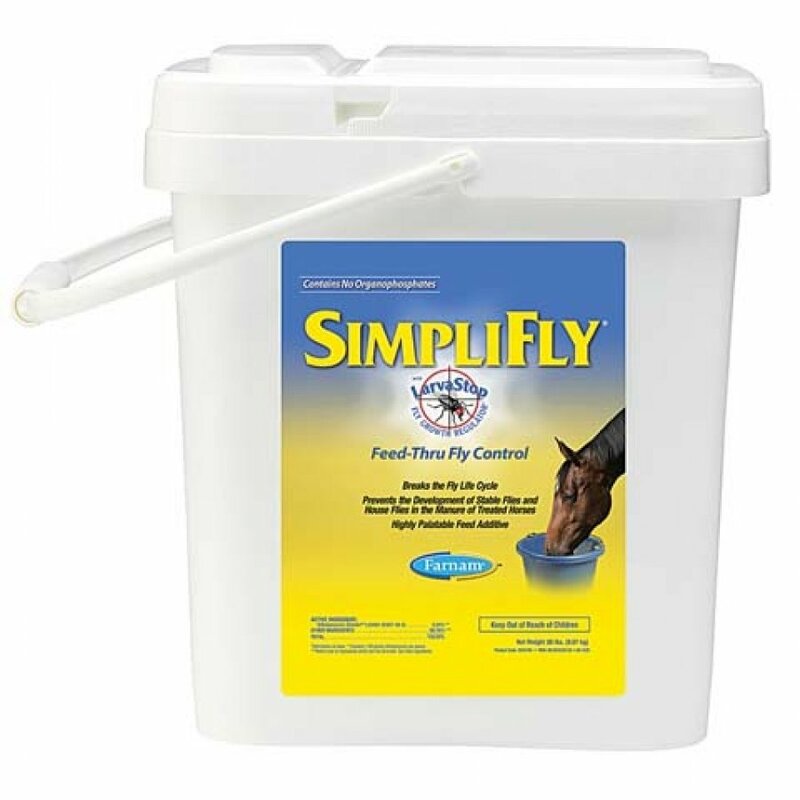 *97-100% effective for inhibiting the development of adult house flies and stable flies in the manure of treated horses. 300-500 lb. horse, pony or miniature horse: feed 2/5 oz. per day. 500-700 lb. horse or pony: feed 3/5 oz. per day. 700-900 lb. horse: feed 4/5 oz. per day. 900-1100 lb. 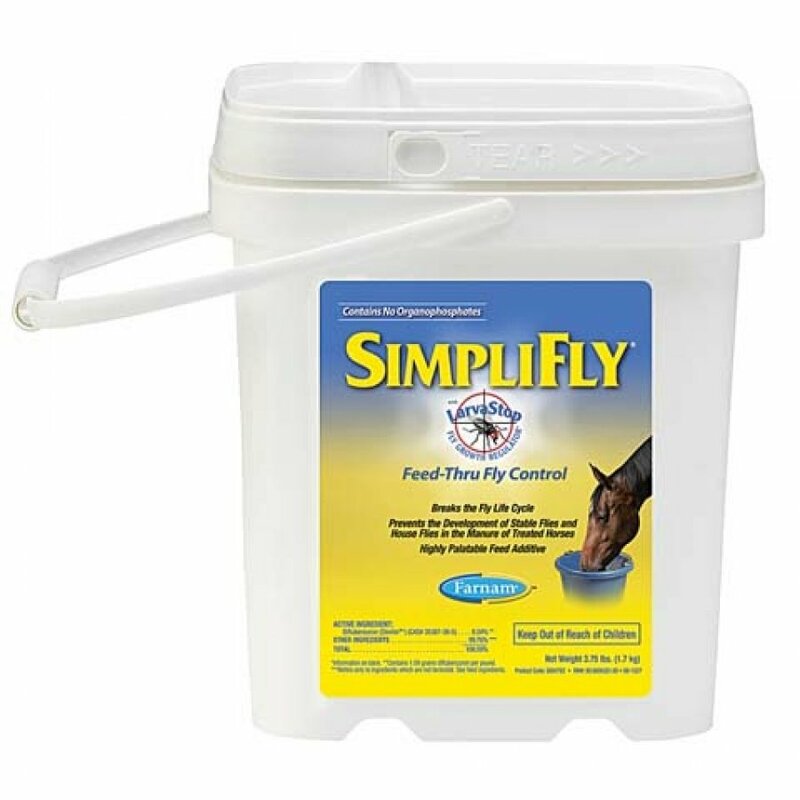 horse: feed 1 oz. per day. 1100-1300 lb. horse: feed 1 1/5 oz. per day. For horses over 1300 lb. or draft horses: feed an additional 1/5 oz. for each additional 200 lbs. of body weight. Not for use in pregnant mares or stallions. Made in the usaActive Ingredient: Diflubenzuron.